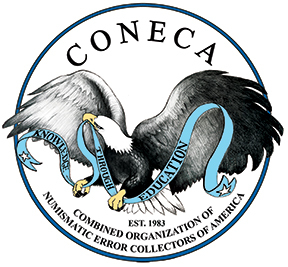 I move that the Combined Organizations of Numismatic Error Collectors of America (CONECA) waive the CONECA procedural provision that petitions for nominations must be received within fifteen days after the nomination period opens for the club involved and nominate Michael Ellis as a candidate for the office of President of the American Numismatic Association for the 2017-2019 term. I make a Motion to allow the president Mark Lighterman to appoint Maria Rickert-Kittell as our new membership chairperson assuming all duties and responsibilities for a stipend of $1000.00 per year. I will make a motion that we accept Board Seat #1’s report as presented. I move that the CONECA Board of Directors accept the 2017 Board Seat 4: Publicity annual report submitted by David Smock. I move that the CONECA Board of Directors accept the 2017 Seat 5: Webmaster annual report. I move to accept Rick’s [CONECA Board Seat #6 Attributions] report. Motion 1 – To set the number of pages of the Errorscope for the next year at 44 pages (That is 40 pages plus the cover) and to review this cost on a yearly basis. 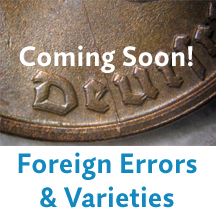 Coin World Attention: Jeff Stark Editor of Numismatic News. I move that the board appoint Tim Clough to write the presses releases for Errorscope. To be clear to the board, I will provide Tim [Clough] a copy of the peer reviewed Errorscope and review the press releases he writes. I will then distribute copies as wanted to the board as well as distribute releases to the specified list provided by Ken [Potter]. I make a Motion to accept Jon’s YN Board seat report. I move to accept the Treasurer’s [Michael Howard] report. 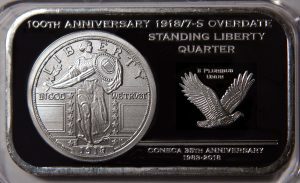 I move to allow either Michael Howard (current Treasurer of CONECA) and/or Jim Motley (current Vice President of CONECA) with full approval of the current President Mark Lighterman to open up a bank account in CONECA’s name to be used for PayPal account transactions and to be linked to that newly opened bank account solely for the purpose spelled out in this motion.